The development of on-farm infrastructure required to measure and monitor the amount of groundwater extracted for agricultural purposes will help alleviate farmers groundwater problems and contribute to water conservation. Over time it has become evident that over-exploitation of Malta’s limited groundwater sources has resulted in a gradual but steady deterioration of the groundwater quality, especially due to saltwater intrusion. In addition, no control and monitoring of what was extracted by private parties was being carried out. The government decided that all groundwater extracted from private boreholes need to be accounted for and has thus adopted a strategy to meter, monitor and eventually control all groundwater abstraction, whilst at the same time delivering alternative water resources. The objective is to account for the water use and eventually to limit extraction to reverse the saltwater intrusion. The idea behind metering of groundwater is to provide a clear indication of how much water is being abstracted and the metering of private wells aims to provide this figure. 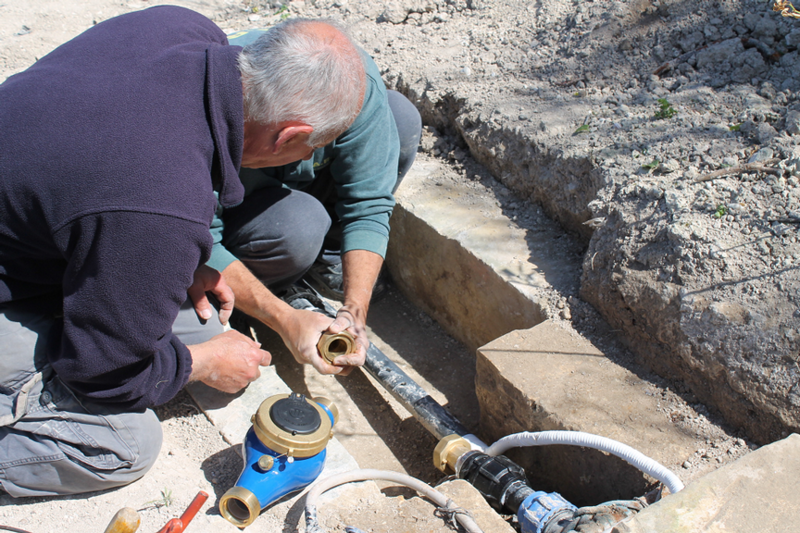 The project activities concern the supply and installation of water meters on private groundwater boreholes to account for all private extraction aimed solely for agricultural use. The project will also provide pipelines for treated sewerage effluent for agricultural areas that meet current irrigation standards. The farmers will benefit because the meter installation will help Malta to have better control of both the quantity and quality of groundwater resources, thus reducing the need for energy-intensive technologies to produce potable water supplies. The reduction in energy requirements will reduce Malta’s carbon footprint which is the focus of energy and climate change strategies. Most agricultural activities depend on groundwater and over-extraction has reduced this water source. A critical factor is the awareness of farmers of the importance of measuring groundwater so as to monitor water use for irrigation purposes and other agricultural activities.